Most people don’t add Oman to their cycling vacation destinations. We’re here to tell you the 5 reasons why you definitely should. The desert landscape of Oman doesn’t sound like the perfect venue for a cycling holiday – especially if you live in Europe where you have the famed mountains of France and Italy, plus the varied terrain of mainland Spain and its neighbours as rivals much closer to home. However, with just a few more hours in the air, you’ll find a cyclist’s dream with empty roads, great tracks, mountainous tarmac and a wide variety of landscapes. The travel industry is cottoning on to the attraction of cycling in Oman, with many hotels tying up with tour providers like Bike and Hike Oman to launch cycling holiday package that incorporates accommodation with rides on the best roads the region has to offer. You can even plan your own itinerary if you don’t fancy setting out on group tours. Want to get ahead of the curve? 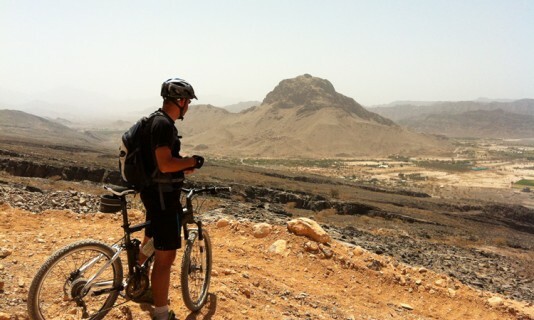 Here are five reasons why you need to make Oman your next stop for a two-wheeled holiday. While thoughts of the gulf bring with it visions of vast dry deserts, Oman isn’t just sand dunes. 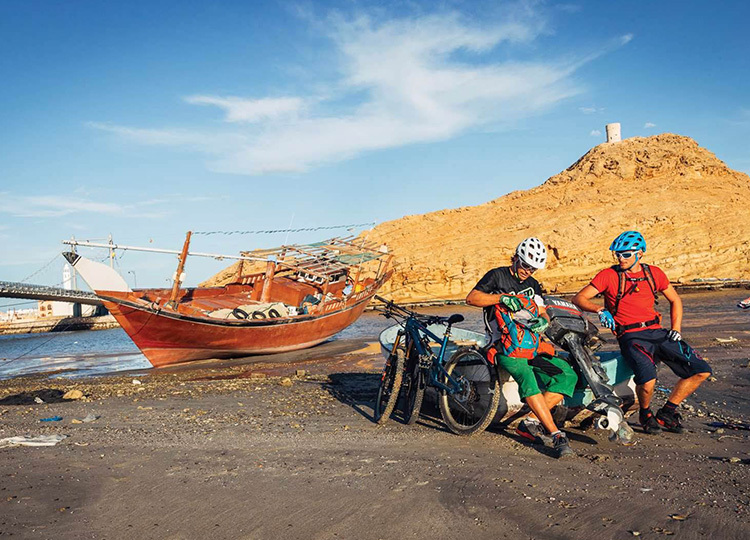 Craggy peaks and rugged terrain, lush oasis’, green Wadis, ancient structures, and serene blue waters edging along beautiful beaches that make for a picture-perfect coastline–that’s what draws cycling enthusiasts to Oman. The country’s highest peak – Jebel Shams is a delight for adventure cyclists with some of the steepest roads and most fantastic views you are likely to encounter on your travels. Alternatively, you can also make one of Oman’s beachfront hotels your base, with a relaxing afternoon on golden sands being the perfect recovery routine after a long ride. 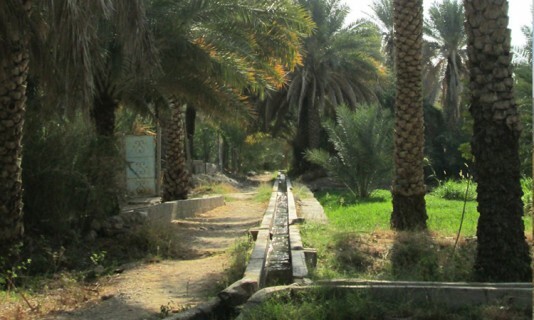 On your travels, you’re likely to find many more green Wadis’, Oasis and even a few waterfalls after the monsoon. Visit Oman between September and March, when the weather is just right for your roadside adventures. In this period with the season changing from autumn to winter to spring, you’ll find that the climate is warm and the temperature remains in the mid-20s, a far cry from the slippery streets and clammy atmosphere of most of Europe– besides cyclists adore bronzed legs, of course, and cycling in Oman gives you plenty of tanning time on the bike. Do remember to ensure that you’re carrying an extra water bottle with you on all rides, as it is crucial to stay hydrated. Just make it a point to avoid the summers if you don’t want to get baked in the heat. With smooth roads on wide highways, steep mountain trails, tarmac roads and rough off-road paths – you sure to find something for all your cycling moods. 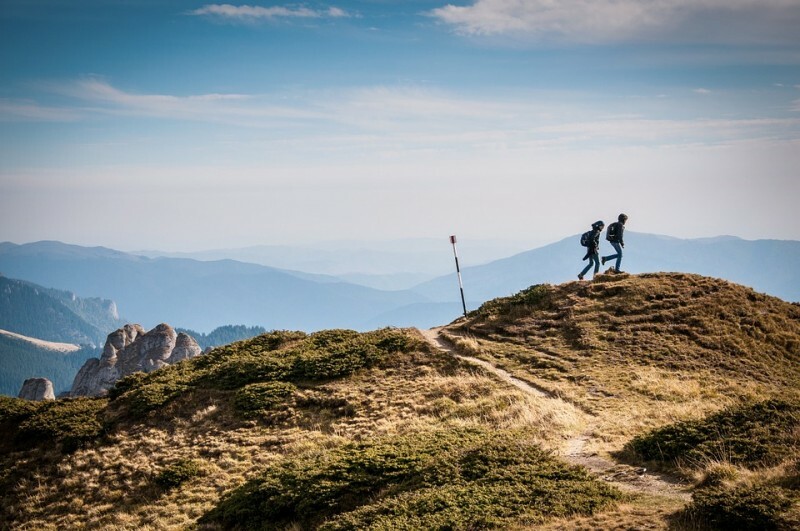 Modern cities and technology with its wide roads soon give way to deserted off-road tracks for adventure enthusiasts and nature lovers will find many beautiful nooks and crannies on their tour of the countryside. Expect to experience Oman’s famed desert heat when cycling and on a weekday don’t be surprised if the only other living creatures you see are a few camels or goats leisurely walking along. A variety of long and short tours can be planned depending on what you want to see. Even with Oman’s cycling scene on the rise, road cyclists are still a rarity and are looked upon as a novelty. The people of Oman are very friendly and will often stop to ask if you need anything and the locals don’t generally stare or point. You are also likely to find a community of like-minded individuals when you set out on group tours with Bike and Hike Oman. Unlike many businesses which are shut on the weekend, the group conducts tours then also. One should also note that the weekend is on Friday and Saturday in the Arabian peninsula, and plan accordingly. These days just a trickle of two-wheeled travellers makes it to Oman. But that’s sure to change. The country is making a big push to attract Western tourists. The best time to visit is now before the crowds realize what they’ve been missing and descend en masse. Unlike some other destinations where spending any time on the back roads will have you eventually experiencing too-close-for-comfort passes from cars or general disdain, the novelty of road cyclists in Oman ensures you’re given a wide berth, sometimes concern from locals and occasionally even encouragement from passing drivers. 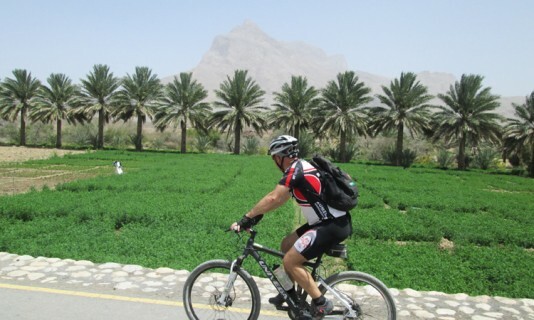 So are you planning a cycling holiday in Oman yet? Give us a ring at (968) 95165038 need any assistance.